Home » Articles » Have You Eaten Your Brussels Sprouts? New Hybrid Variety Kalettes, & Red Brussels Sprouts Leading The Comeback …. Far out…Brussels Sprout, I imagine this is said a lot, as a bowl of the most hated steamed greens hit the dinner table. Well that was then and this is now! Thanks to the fine people at Eastbrook Vegetable Farms in South Australia, the future is here. 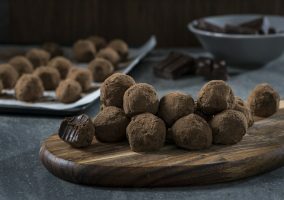 With it comes some new tastier and healthy alternatives to the bitter old Brussels Sprout. These are the new mischievous love child of Brussels Sprouts and Kale. They were developed by the British seed company, Tozer seeds. Well worth the 15 years of development, Kalettes are non-GMO and delicious. 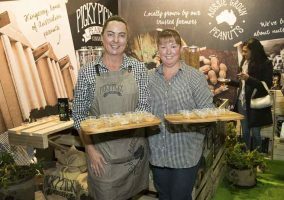 Eastbrook Vegetable Farms have been growing them, right here in Australia. They can be found in the fruit and vegetable section of most retailers. (if your local shop does not stock them, ask them to order you some). Fusing the best flavours of brussels sprouts and kale, results in a mild, yet sweet and nutty flavour, akin to sweet cabbage. 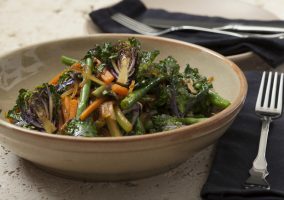 Kalettes are incredibly versatile, they can be eaten any number of ways including raw, baked, fried or steamed just for a start. They are super healthy, although I do not have the exact scientific breakdown. Similar to their Father (Brussels sprouts), they should contain excellent levels of vitamin C and vitamin K, and moderate amounts of B vitamins, such as folic acid and vitamin B6. Also as with broccoli, mustard and other cabbage related plants, they should contain sulforaphane. This is a phytochemical currently being researched for its potential anticancer properties. Try them out with our Thai Ginger and Kalette stir-fry recipe. Red Brussels Sprouts also contain all the above vitamins, which make both the Kalettes and Sprouts a fantastic, healthy vegetable choice for your dinner table. 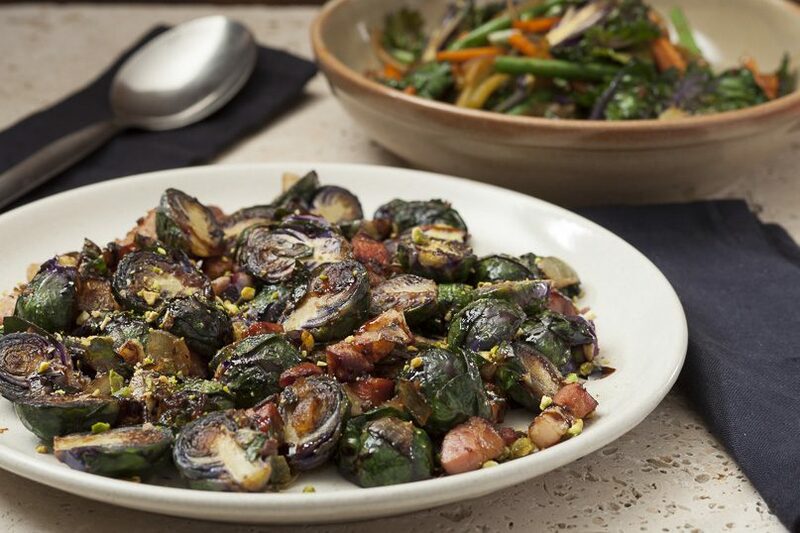 We trialed the Brussels Sprouts in our Red Brussels Sprouts with Speck and Pistachio nuts recipe. Take a look; we are sure you will be pleasantly surprised. Both the Kalettes and the Red Darling Sprouts (brandname) may be found in supermarkets and wholesale food markets around Australia.